The ISO/TS16949 is an ISO technical specification which aligns for automotive industry aiming to the development of a quality management system that provides for continual improvement, emphasizing defect prevention and the reduction of variation and waste in the supply chain. 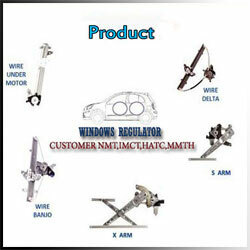 It is based on the ISO 9001 and additional requirement of customers in the automotive industry. Aim of this standard is to improve the system and process quality to increase customer satisfaction. The requirements are intended to be applied throughout the supply chain or other products within the global automotive industry. 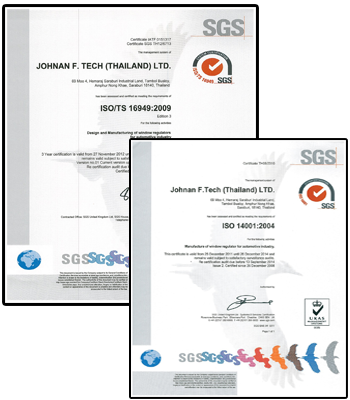 Johnan F. Tech (Thailand) Ltd. was certified in ISO/TS16949: 2009,for all products, including relevant division of automotive parts supply was also certified in this standard. Create environmental awareness to employees by training.